Contemplate the tranquility of this late piece by Fitz Hugh Lane (1804 – 1865). Part of Lane’s genius lies in his ability to keep the eye engaged with his apparently minimal forms. Imagine if that distant boat to the right were not there. Or that sagging post and its reflection just offshore. Reflections in the water. That sweep of ripples from side to side. Or that sawback pattern of trees on Owl’s Head, or the buildings on the shore to the left. No detail is dramatic, but everywhere you look there is something going on. Lane achieved his luminist masterpieces toward the end of his life. His earlier work (example below) is robust rather than visionary. It records details for their own sake rather than disciplining them into one deftly modulated hit. 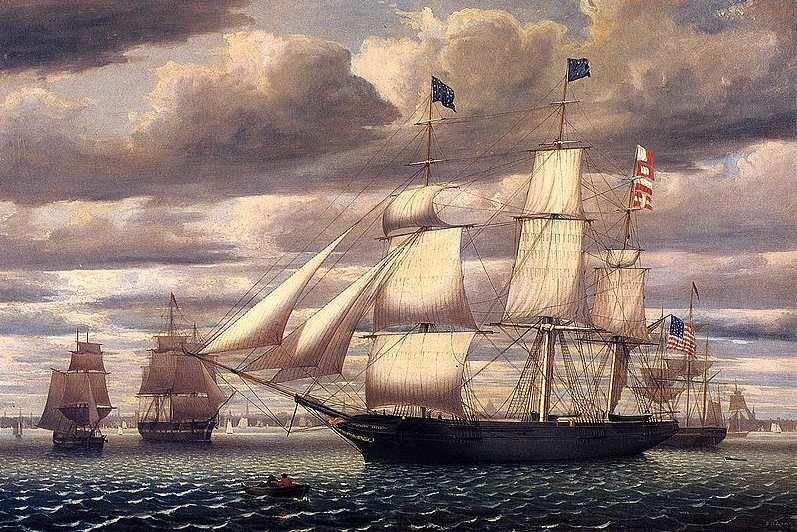 The clouds are freely painted, but the clipper is not: every halyard and stay is mercilessly rendered (he must have used a straightedge and the teensyist brushes). The ship doesn’t share the same light with the clouds or with the two ships on the left. The mechanical little whitecaps resemble those carpets that oppress one in hotel lobbies. 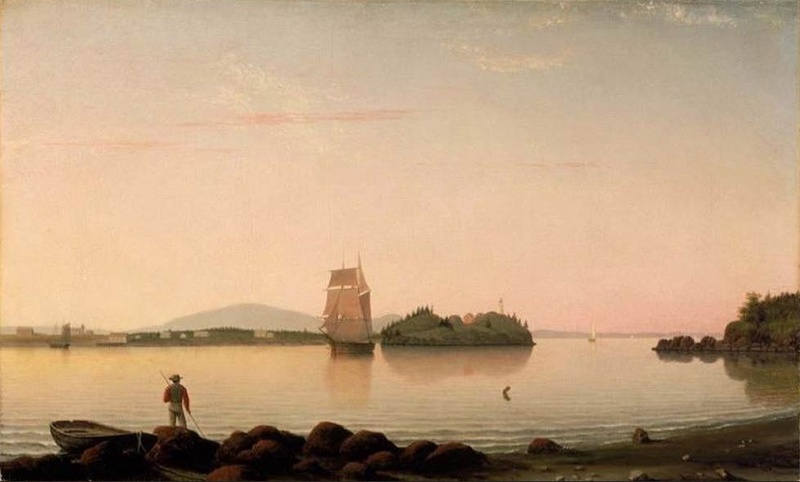 We see the same development from visual smorgasbord to lean decision in Lane’s fellow luminist, John Frederick Kensett (December 10). A vast improvement in both cases.